In at #39 is the official entry from Poland, “Fire Of Love (Pali Sie)” by Tulia, music written by Nadia Dalin, and lyrics by Sonia Krasny, Allan Rich, and Jud Friedmann. 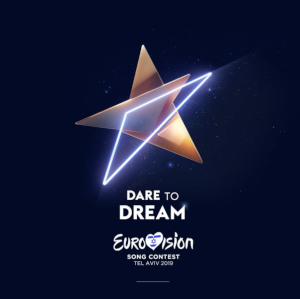 The song is performed in Polish and English, and will be performed fourth on the first semi-final on May 14. The polish folk band made up of members Joanna Sinkiewicz, Dominika Siepka, Patrycja Nowicka and Tulia Biczak, for whom the group was named, have been together since 2017. The video made for their entry this year was inspired by the look of the Academy-award nominated 2018 film from Poland, Cold War. Poland made its EuroVision debut in 1994. They have yet to top the contest, their best finish in the 20 years they have previously participated having been “To nie ja!” by Edyta Gorniak, runner up in their debut year, 1994; they also missed the grand final for seven consecutive years, 2005-2011,and again in 2018, their first time doing so since returning to the contest in 2014 after an absence of several years.